Trigger jitters and rub celebratory spirit by mailing this personalized hockey save the date magnets 6x3 inch square corner – 20 MIL! It is the choice for you, if trying to ensure maximum participation on your great day. This magnet is a perfect pre-invitation choice for hockey fanatics. They can get it suitably personalized with their wedding information and images prior to gifting. You can send us the image, artwork and our team will work on it. 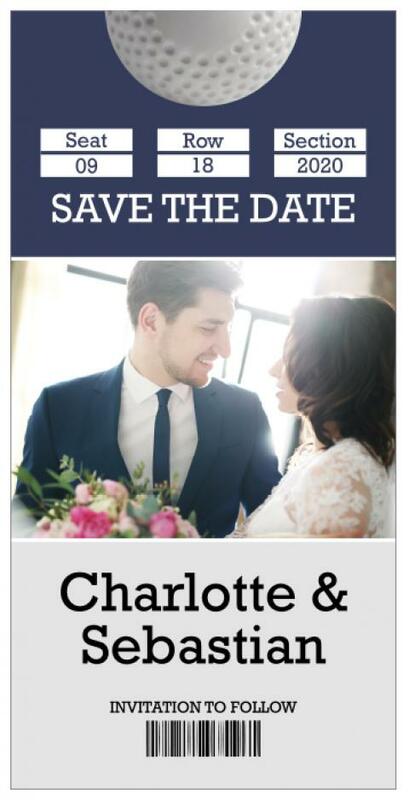 Request a quote to know what you may save by bulk ordering these custom hockey save the date magnets 6x3 inch square corner 20 MIL. Additional Information – This price is inclusive of printing in full-color (four color process) on one side. Pantone® colors match not available in full-color. Not made for outdoor use. Write-on/Wipe-off surface not available.